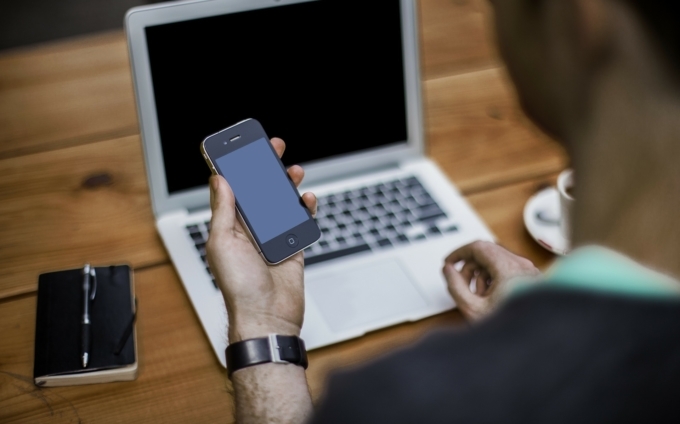 How will automation shape the Gigabit Age? 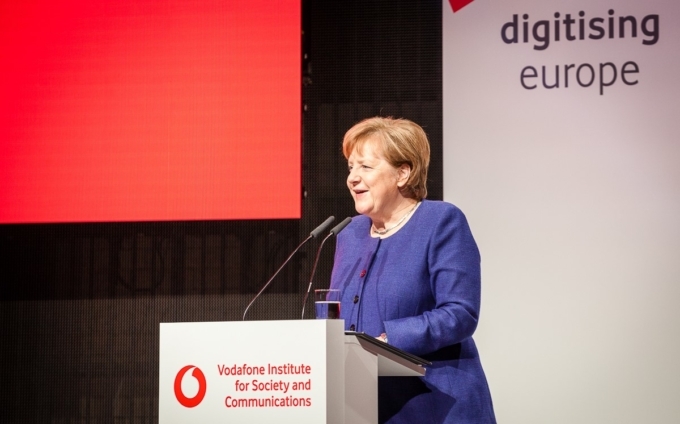 Robots and I: Another event presented by the Vodafone Institute will take place in Brussels on February 7 with a stellar line up of international thinkers and robotics experts. 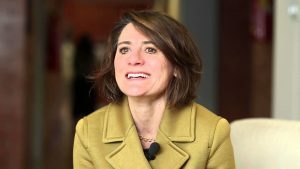 Robots And I: how will automation shape the Gigabit Age? Doors open at 5.30pm, talks start at 6.00pm sharp, walking dinner to follow. The European Parliament has urged the European Commission to put in place rules to ensure robots are and will remain in the service of humans. Are robots a threat to our lives and livelihoods? Could they be technology’s answer to many of humanity’s greatest challenges? Should robots have rights and who owns the data they collect? 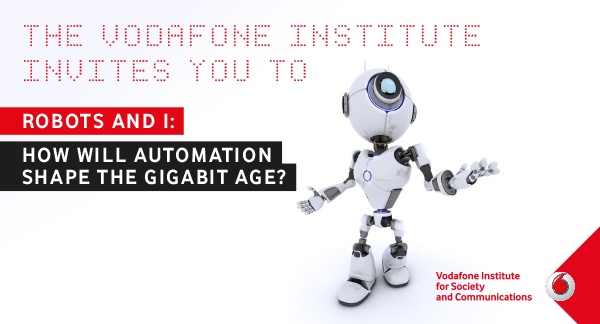 The Vodafone Institute invites you to join a stellar line up of international thinkers to explore some big questions and challenge our assumptions about the impact of automation in the Gigabit Age. Robots are taking increasingly bigger roles in life and business – moving well beyond manufacturing and into transportation, education, medicine and care for the elderly. But ethics and law haven’t caught up. Dr. Kate Darling, a pioneer in the fields, is helping quicken the pace. 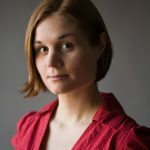 A leading expert in robot ethics, she is a researcher at the Massachusetts Institute of Technology (MIT) Media Lab where she investigates social robotics and conducts experimental studies on human-robot interaction. 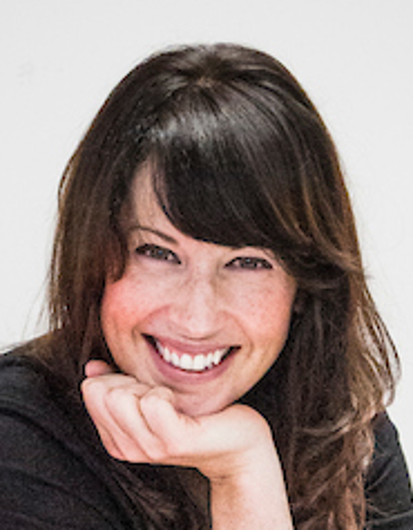 Darling explores the emotional connection between people and life-like inventions, seeking to influence technology design and policy direction. Her writing and research anticipate difficult questions that lawmakers, engineers and the wider public must address as human-robot relationships evolve in the coming decades. While her background is in intellectual property, law and economics, Darling’s passion for technology and robots led her to interdisciplinary fields. After co-teaching a robot ethics course at Harvard Law School with the renowned Professor Lawrence Lessig, she now increasingly works at the intersection of law and robotics, with a focus on legal and social issues. 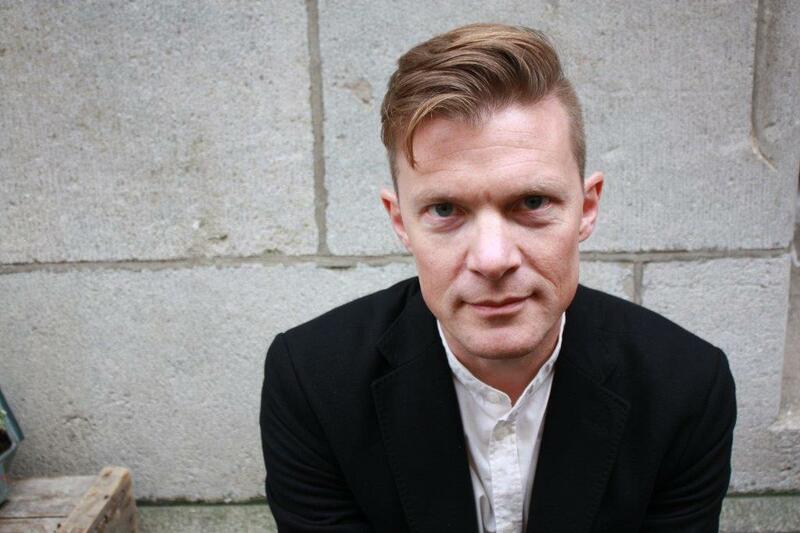 Darling is a fellow at the Harvard Berkman Center for Internet & Society and the Yale Information Society Project, and is also an affiliate at the Institute for Ethics and Emerging Technologies. He has written books on a broad range of topics, including global economics and popular science. His In Defence of Global Capitalism has been published in more than 25 countries. His most recent book is Progress: Ten Reasons to Look Forward to the Future, described by The Economist as “a blast of good sense”. He also regularly hosts documentaries on development and economics for American television, most recently India Awakes and The Real Adam Smith. 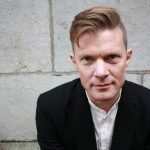 For his work, Johan Norberg has received the Distinguished Sir Antony Fisher Memorial Award from the American Atlas Foundation, and the gold medal from the German Hayek Stiftung. Dr. Angelica Lim received her Ph.D. and M.Sc. in Intelligence Science from Kyoto University, and B.Sc. in Computing Science with Minor in French from Simon Fraser University, Canada. 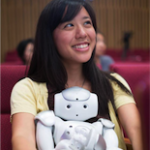 A key member on the Pepper humanoid robot project with SoftBank and Aldebaran Robotics, she has interned as a software engineer and researcher at Google Santa Monica, Honda Research Institute Japan, and I3S-CNRS, France. She has worked on robots and artificial intelligence for over 10 years, and is currently interested in signal processing, machine learning and developmental robotics for intelligent systems, particularly in the field of emotions. 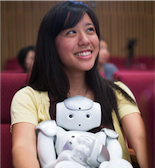 She is one of four journalists for the IEEE Spectrum Automaton Robotics Blog, and was a speaker at TEDx Kyoto 2012 (“On Designing User-Friendly Robots”) and TEDx KualaLumpur 2014 (“Robots, Emotions and Empathy”). 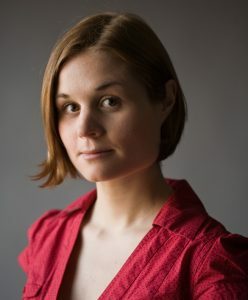 She was a Guest Editor for the International Journal of Synthetic Emotions, and has received various awards including CITEC Award for Excellence in Doctoral HRI Research (2014), NTF Award for Entertainment Robots and Systems IROS (2010), and the Google Canada Anita Borg Scholarship (2008). Of Filipino-Chinese heritage, she was born in California, U.S.A., raised in Vancouver, Canada, and has lived the expat life for 8 years in France and Japan. 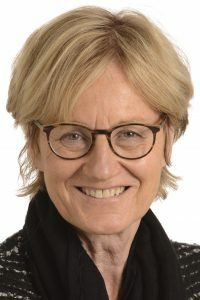 Professor Cecilia Laschi is Full Professor of Biorobotics at the BioRobotics Institute of the Scuola Superiore Sant’Anna in Pisa, Italy, where she serves as Rector’s delegate to Research. She graduated in Computer Science at the University of Pisa in 1993 and received the Ph.D. in Robotics from the University of Genoa in 1998. In 2001-2002 she was JSPS visiting researcher at Waseda University in Tokyo. Her research interests are in the field of biorobotics and she is currently working on soft robotics, humanoid robotics, and neurodevelopmental engineering. She worked in the first projects on neurorobotics and she is now in the NeuroRobotic Platform of the Human Brain Project Flagship. 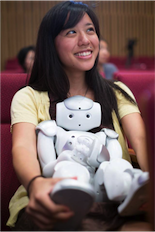 She also worked on the investigation of human-robot interaction in assistive and personal robots. She pioneered soft robotics, as the coordinator of the European ICT-FET OCTOPUS Integrating Project, leading to one of the first soft robots, and she coordinated the European ICT-FET Open Coordination Action on Soft Robotics RoboSoft. 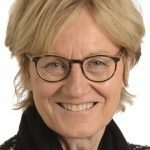 She is Chief Editor of the Specialty Section on Soft Robotics of Frontiers in Robotics and AI and of Frontiers in Bionics and Biomimetics and she is in the Editorial Board of Bioinspiration&Biomimetics, Robotics and Automation Letters, Frontiers in Bionics and Biomimetics, Applied Bionics and Biomechanics, Advanced Robotics. She has been the Guest Editor of Special Issues of Bioinspiration&Biomimetics, Frontiers in Robotics and AI, International Journal of Advanced Robotics Systems, IEEE Transactions on Robotics. She is member of the IEEE, of the Engineering in Medicine and Biology Society, and of the Robotics & Automation Society, where she served as elected AdCom member and currently is Co-Chair of the TC on Soft Robotics. Mady Delvaux-Stehres studied classical literature in Paris and became a teacher at “Lycée Michel Rodange” in Luxembourg up until 1989. She joined the LSAP Management Committee in 1985 and remained a member until 1989, when she was appointed to the Government. She was also elected Municipal Councilor of Luxembourg City in October 1987. Following the 1994 elections, she became Minister for Communications, Transport and Social Security. During the 1989-1994 legislature period she began reforming health insurance. From 1994 to 1999, she dealt with the introduction of the new long-term care insurance. Between 2004 and 2014, Mady Delvaux-Stehres was Minister of National Education and Vocational Training. Since May 2014, Mady Delvaux-Stehres is member of the European Parliament, Vice-Chair of the JURI committee and substitute member in ECON. Moreover, she has been appointed one of the 6 members of the Advisory Committee of the European Parliament. Since 2014, she is Chair of the Working Group on Robotics and Artificial Intelligence set up by the Committee on Legal Affairs in the Parliament. She is the rapporteur of an initiative legislative report on Civil Law Rules on Robotics. 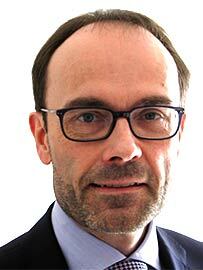 Dr Juha Heikkilä joined the European Commission in 1998 and currently works in its Directorate-General for Communications Networks, Content and Technology (DG CONNECT). For more than 11 years, he has been working in the unit now called Robotics and Artificial Intelligence, first as a Project Officer, since 2008 as the Deputy Head of Unit, and since May 2014 as the Head of Unit. The unit has been funding a multidisciplinary research programme on Cognitive Systems and Robotics for about 12 years, focusing on smarter and more flexible robots and artificial systems. In recent years, the annual budget has been between €70 million and €80 million. 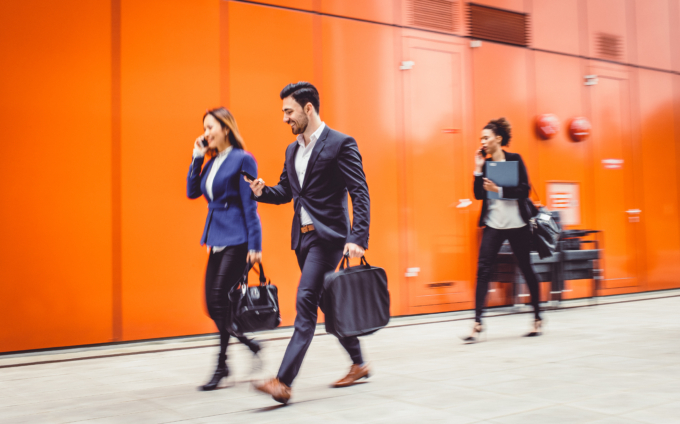 At the beginning of the current EU seven-year funding programme, Horizon 2020, the unit set up a Public-Private Partnership in Robotics, which brings together all the key stakeholders in the area. In this partnership the unit will invest up to €700 million via Horizon 2020 in roadmap-based research and innovation in robotics over a seven-year period. Previously, Dr Heikkilä was involved in computational and corpus linguistic research at the University of Helsinki, and he did a PhD in Linguistics at the University of Cambridge. 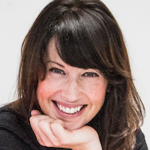 Aimee van Wynsberghe has a background in cell biology and robot ethics. 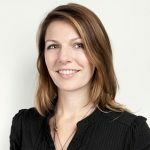 She is Assistant Professor in Ethics of Technology at the University of Delft and is President of the Foundation for Responsible Robotics. It was Aimee’s work on the technical details related to surgical robots that inspired her interest in the ethical issues of robots in care. In her book Healthcare Robots: Ethics, Design, and Implementation she shows a way in which ethics can be incorporated into the design process of robots in care. In doing so, robots can be used not only as an assistant to the hospital and/or nursing home staff but can also be used to preserve the values in care. 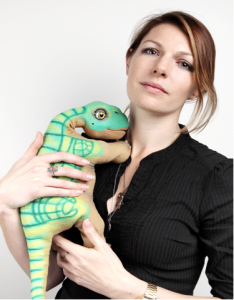 In December 2015, Aimee co-founded the Foundation for Responsible Robotics with the aim to bring industry together with academia for shaping a future of responsible robotic design, development and implementation. Aimee has been named one of the Netherlands top 400 influential women under 38 by VIVA and in 2015 was awarded an NWO personal research grant to study how we can responsibly design service robots. Matthew Kirk was appointed Group External Affairs Director of Vodafone, and a member of the Executive Committee, with effect from 1 March 2009. He is the Chairman of the Advisory Board, Vodafone Institute for Society and Communications. Matthew joined Vodafone in 2006. 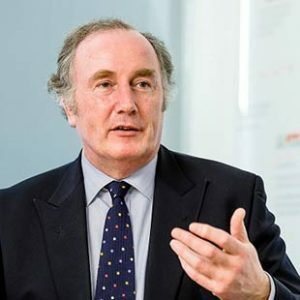 Before that, he was a member of the British Diplomatic Service for more than twenty years, with diplomatic postings in New York (UN), Belgrade, Gibraltar and Paris, and a number of positions in the Foreign and Commonwealth Office (FCO) and Cabinet Office in London. 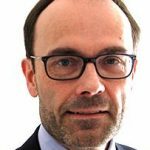 Matthew led the FCO’s programme in investment in IT and telecommunications for three years, and prior to joining Vodafone served as Her Majesty’s Ambassador to Finland. Matthew graduated (MA) from St John’s College, Oxford, and holds the Diplôme International d’Administration Publique from the École Nationale d’Administration, Paris. He is married, with two children. Since 2014, Paulina Modlitba Söderlund is running her own business as a digital leader and freelancing consultant within digital communication, marketing and strategy. 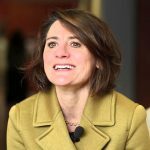 She helps companies launch new products and services, and supports more established companies with developing digital business models and find new revenue streams and customers. Paulina is a proud MIT Media Lab alum with a background in robot-human-interaction and service design. She is a Geek Girl and feminist, and works actively on engaging underrepresented groups in the tech and startup sectors, both when it comes to education and job opportunities. Most of all, Paulina loves working with and for people and consumers and finds it extremely intriguing to try to understand peoples’ tech, media and web behavior and preferences.